"Securing the best possible result for my clients is my top priority." Oyvind Wistrom is a shareholder and member of the Board of Directors of Lindner & Marsack, S.C., and has practiced his entire career in the field of labor and employment law. His current legal practice is focused primarily on the litigation of employment claims, equal employment matters, and the development and oversight of personnel policies and procedures. Mr. Wistrom also devotes a significant portion of his law practice to counseling private companies and municipal corporations in various employment matters, including discharge and discipline issues, employment contract matters, wage & hour disputes, reductions in force/severance matters, discrimination/retaliation, harassment, family and medical leave (FMLA) issues, as well as individual rights and responsibilities in the workplace. 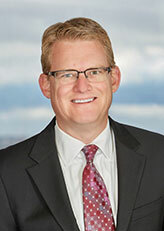 Mr. Wistrom has also successfully litigated innumerable discrimination and other alleged unlawful employment claims before various state and federal courts, as well as numerous administrative agencies. He has served as first chair in several state and federal civil trials, but seeks to avoid trial when possible. To that end, he has obtained summary judgment for defendants in more than 30 employment discrimination/civil rights lawsuits and has defended appeals of those favorable employment decisions before the Seventh and Eleventh U.S. Circuit Courts of Appeal. He has also prosecuted and defended restrictive covenant matters in Wisconsin and across the United States involving non-competition agreements, non-solicitation agreements and confidentiality/non-disclosure agreements. With his extensive background in labor and employment law, Mr. Wistrom is a frequent speaker on various employment related topics and is actively engaged with numerous local human resource organizations and charitable organizations. Human Resource Management Association of Southeast Wisconsin, Inc.